Spy Mission by IGS is a popular new 25-line game that is sweeping the amusement game world. 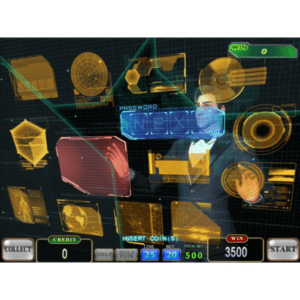 Based off the classic Spy Games design, Spy Mission features a multi-stage interactive bonus game, along with free spins, jackpots and other attractions that will provide your customers with hours of enjoyment. Spy Mission’s XGA high-resolution graphics are superior to the VGA graphics included with the Spy Games classic game. 8 Line Supplycarries Spy Mission, Diamond Skill Games 10and other game boards and accessories for business use. Spy Mission features five spinning reels and 25 play lines, and comes with a one-year warranty. It is linkable with the IGS Diamond Progressive System, uses a standard 36/10 pin Cherry Master harness, and is touchscreen compatible. One of the enticing features of the new Spy Mission is the bomb feature game that can be triggered when the player plays all 25 lines. 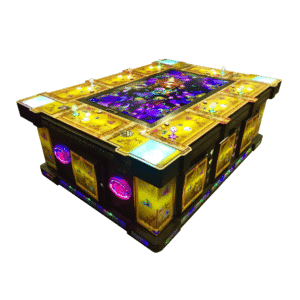 The player can choose from any item on the screen in Bonus Game Stage One, where there is a chance to win a prize and earn a pass code. The player advances to the next stage after collecting all of the pass codes, or the game ends if the player picks the Warning Sign. The player can choose from one of three colors on the screen in the Bonus Game Stage Two. Choose the correct color to stop the bomb and win the maximum prize. Choose the wrong color and the bomb explodes, ending the bonus game. Wins are awarded left to right and right to left when all 25 lines are played, and the total Spy Mission play is equal to or greater than 50 credits. 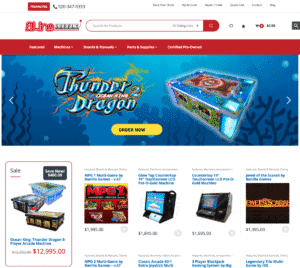 8 Line Supply is a leading distributor of 8 Liner, Cherry Master, Pot-O-Gold and Coin Pusher amusement and gaming machines. In addition, 8 Line Supply provides a full line of accessories from top brands in the industry including game boards, LCD monitors, bill acceptors, harnesses, power supplies and more for customers throughout North America and around the world. Customers are invited to place orders at http://www.8linesupply.com, call 920-347-0333 or visit the 8 Line Supply retail location at 2210 American Blvd. in De Pere, Wisconsin. View original article on Spy Mission here.